A worrying modern trend is spreading. More and more homeowners are experiencing it. It’s so frustrating and time-consuming that many of them just give up… and return their smart device for a refund. Smart home frustration is real. A recent report confirms it. It happens when, in the rush to enjoy the benefits of connected technology, homeowners discover, all too late, that expert help is needed. The good news is that there’s an easy way to avoid it. Use a smart home service provider. Typically security dealers specializing in smart technology, our authorized service providers offer the simplest way to own and enjoy a smart home. Here’s how they steer you clear of smart home frustration and give you the most value from your technology. Would you like every piece of your smart home set up for you? Good news: you can have a service provider visit your home and design a smart home solution tailored to your needs. They’ll quickly install you a smart home security system with the additional devices you want—smart thermostats, doorbell cameras, smart locks and more. They can add new devices later as your family grows. Do you prefer DIY installation? Good news: we partner with online service providers who will ship you all of the above, ready to install yourself. Every device you buy from them works with all the others, saving you plenty of headaches down the line. With a service provider, you get flexibility and more value from your system. For example, the the subscription-based service gives you a full smart home setup without having to pay for it all upfront. 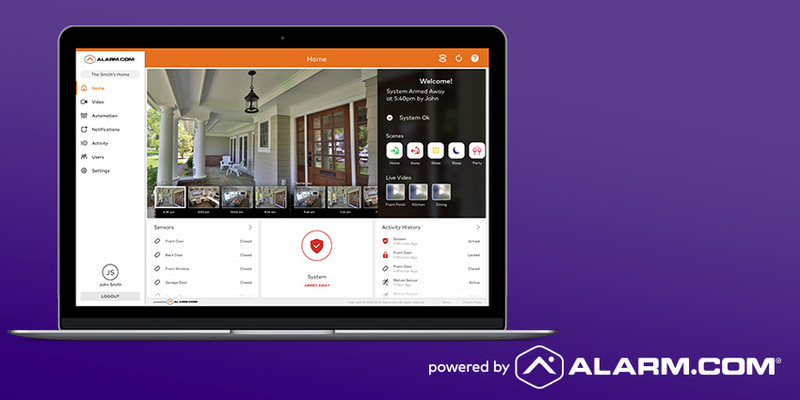 You get 24/7 professional security monitoring, ongoing customer support and new feature updates, as well as a full house of connected devices working for you from day one. There’s more to setting up a smart home than drilling, wiring and other physical jobs. Buying a device off the shelf puts you on the hook for setting it up, adding it to your home network, then integrating it with each other devices. The more devices and apps, you have, the harder it gets. Use an Alarm.com service provider and you’ll have no such problems. We equip our service providers with hi-tech tools so they can quickly set up, configure and test your system to ensure high performance. If you buy online, they’ll send you a completely configured system, with every device wirelessly linked beforehand. A single app and software platform controls everything, making your new smart home simple and easy to control, and able to work proactively for you in remarkable ways. When you go it alone on smart home devices, service tends to end at the point of sale. New smart thermostat malfunctioning on the hottest day of summer? You’d best get online and start troubleshooting. With Alarm.com technology, however, you’d call your service provider, who has advanced training and tools to troubleshoot many issues remotely. They can quickly discover what’s going on and help to get it solved quickly — all through a single point of contact. 5: Smart home security—the real version—is always a great buy. 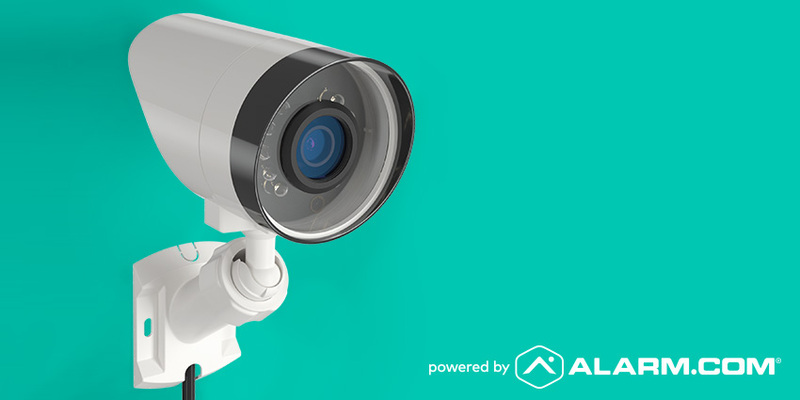 If you’re buying connected technology with home security in mind, a service provider is the only way to go. 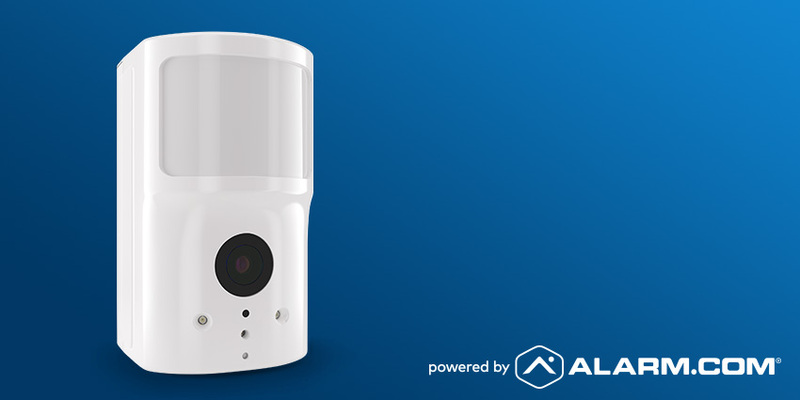 That’s because every professionally-supported, Alarm.com-powered smart security system comes with professional monitoring: a proactive safeguard considered the gold standard of home security. If there’s an alarm at your home, a trained security professional will assess the situation and alert your local 911 dispatch station for you. If you’re home, you can focus on keeping everyone safe. If you’re not home, assistance is on the way regardless. 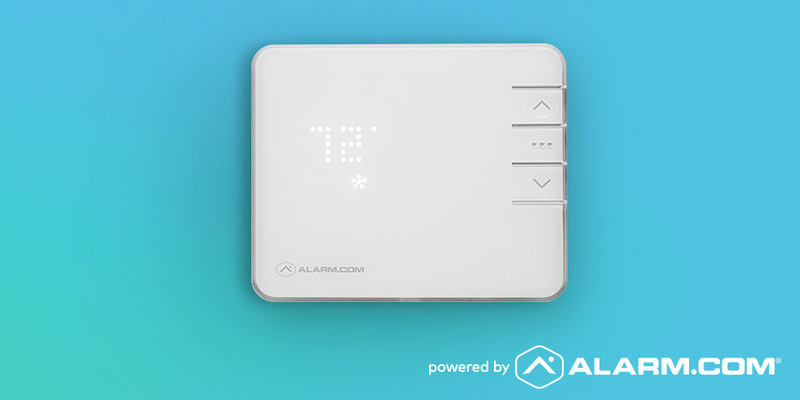 With other state-of-the-art security features like Crash and Smash protection, Unexpected Activity alerts, smart fire safety and Alarm.com’s dedicated cellular connection, the protection you get with an Alarm.com service provider is unmatched. Want to connect with a service provider? We partner with more than 6,000 authorized service providers to power more than five million smart homes. To connect with your ideal service provider, enter your ZIP code in the box below. Source: iQor CPX360 survey, via ZDNet.